Berserker (Shapiro Entertainment,1987) US One Sheet Poster Size 27" x 41"
Directed by Jefferson Richard. Starring Joseph Allan Johnson and Greg Dawson. 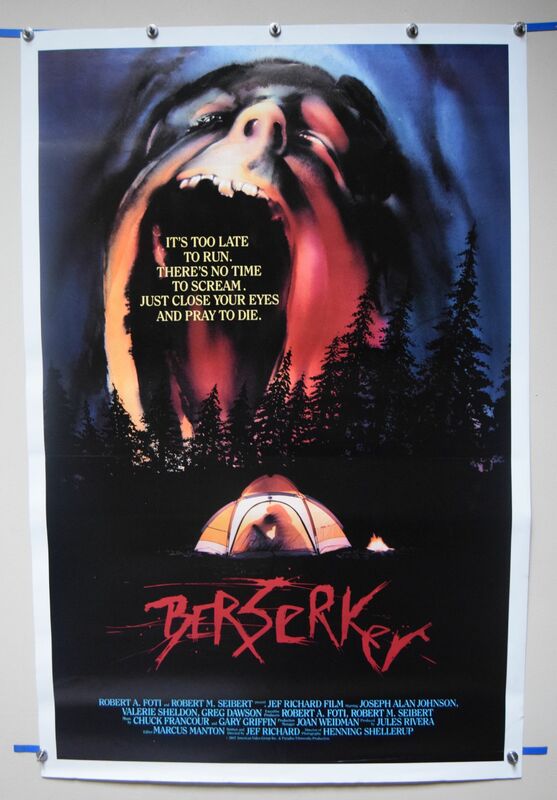 Six young adults in the woods run afoul of a madman's rage, a Viking warrior who dons the skins and snout of a bear, terror of a quick death with no immediate escape in sight, they have no time to run or to pray for death.The poster has one tiny edge tear bottom right and is rolled. Displays great!